Both telescopes are now fully operational and are performing as anticipated. 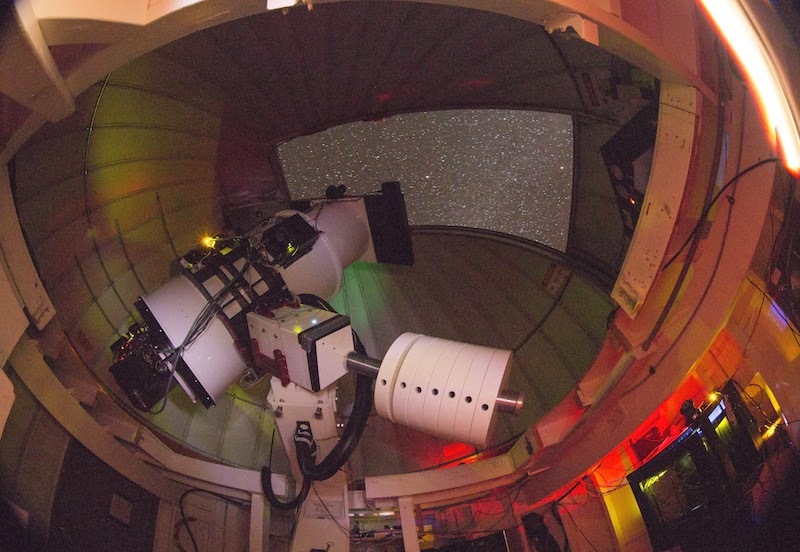 Both telescopes have now been fitted with improved Schmidt correctors, significantly improving their image quality and allowing detection of objects one magnitude fainter than was possible with the originals. The two telescopes routinely observe alternate halves of the sky four times every night without human intervention. The system decides for itself whether it is safe to observe, adopts a schedule, and carries out the desired program as conditions permit. 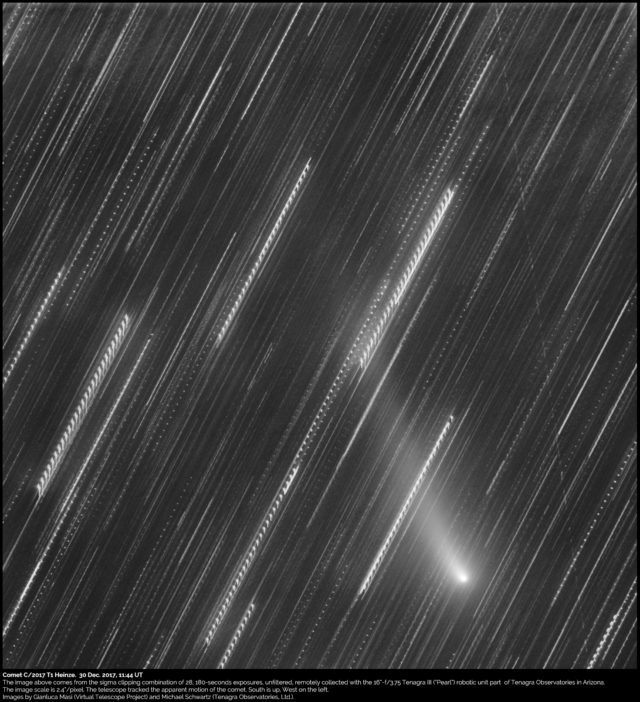 All ATLAS observations are automatically analyzed in real time; data for known asteroids are submitted to the Minor Planet Center automatically, and new asteroid discoveries are held until the next morning for vetting by a human being. Although ATLAS is optimized for the discovery of Near-Earth Asteroids, it inevitably yields vast amounts of data that impinge on studies of the variability and motions of many different kinds of celestial object. Some of these phenomena are being studied by us and by our collaborators at University of Belfast and elsewhere. ATLAS has so far discovered more than 1,200 supernovae, mainly of Type 1a. The large nightly ATLAS sky footprint has allowed searches for counterparts of gravitational wave sources from the LIGO-Virgo collaboration. ATLAS is a signatory to the agreement to share triggers. We searched for possible bright counterparts to binary black hole mergers and discovered the afterglow of a gamma ray burst before the high-x`energy source was localized on the sky. During its first two years ATLAS observed 140 million stars hundreds of times and has detected variability (pulsation, rotation, occultations, outbursts) in 5 million objects. We will be releasing these light-curves through the Mikulski Archive for Space Telescopes. The ensuing 6 months has doubled the number of detections and increased the number of stars to 240 million. There will be periodic data releases and updates. We are undertaking discussions with NASA with a view to building two more ATLAS telescopes in the southern hemisphere -- one in Chile and one in South Africa. We are also involved in discussions to expand the ATLAS network to other parts of the world.